From the moment you call to schedule your first appointment with us, to the moment you walk out with a smile on your face, our exceptional dental staff work to support Dr. Alan Snodgrass and deliver state of the art care to each of our patients. Our experienced hygiene team brings many special skills to provide you with the finest care. You can rest easy knowing our hygienists have such passion in what they do. Trish, Teresa and Angie will work hard at helping you maintain good oral health, without judgement or lectures. Our experienced office staff will assist you with setting up your appointment and answer your questions regarding insurance. We will bill your insurance for you and help you receive the maximum benefit from your plan. We have financing programs available to help you get the smile you want. 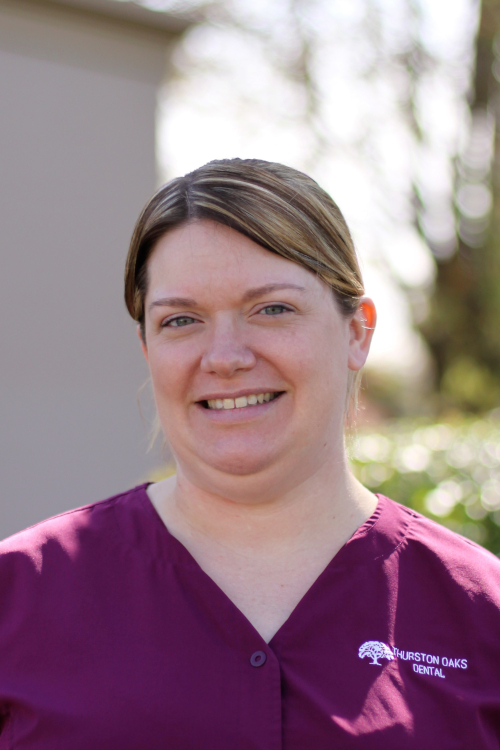 Angi obtained a Bachelor of Science in Dental Hygiene in 1997 at Oregon Health & Science University. 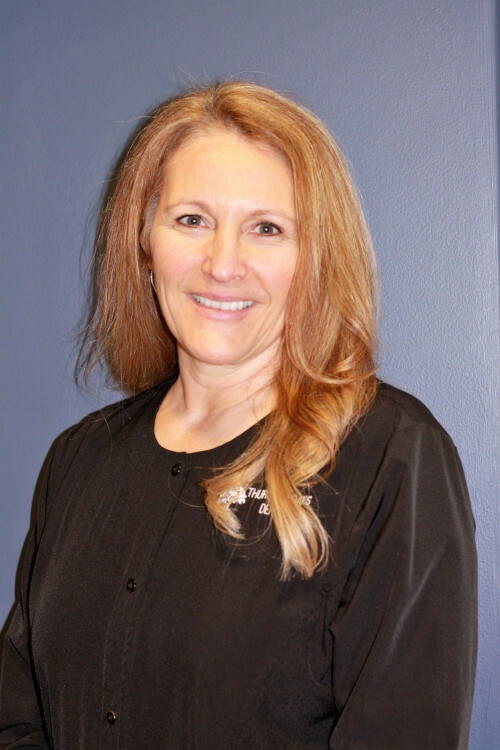 Angi has a passion for dentistry and truly loves to help every patient have a postive experience. She loves when negative memories of the dentist are overcome and patients feel safe and comfortable. Angi and her husband, Cain have four very active children. The family enjoys spending time travelling, hiking compaing and any outdoor activity. Some of Angi's other interests in her time off are homeschooling her children, home imporvements, decorating, and refinishing furniture. other family members include 2 German Sheppard's and the cutest black and white polka dot cocker spaniel, "Oreo". Trish graduated in 1986 from Eastern Washington University and has been part of our team for over 20 years. 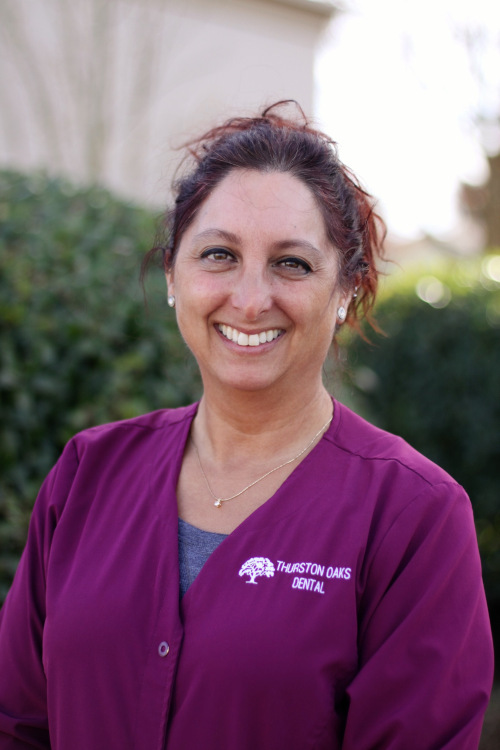 She loves Thurston Oaks Dental because we offer friendly, personal service with cutting edge technology. 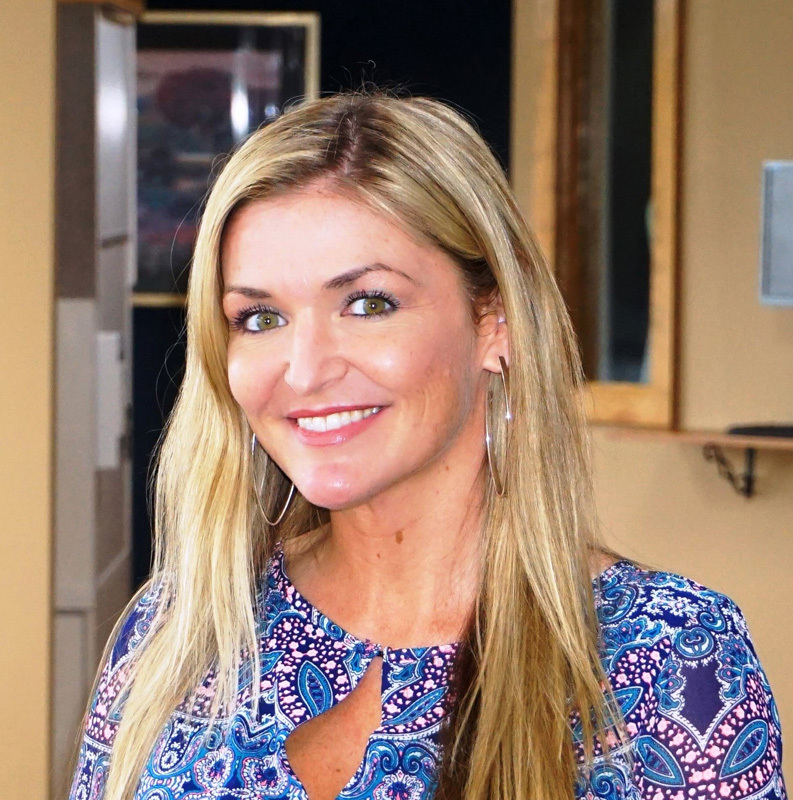 In her free time she likes working out, cooking, gardening and going Alaska commercial fishing with her husband and boys. Andrea has been in the dental industry for over 30 years. 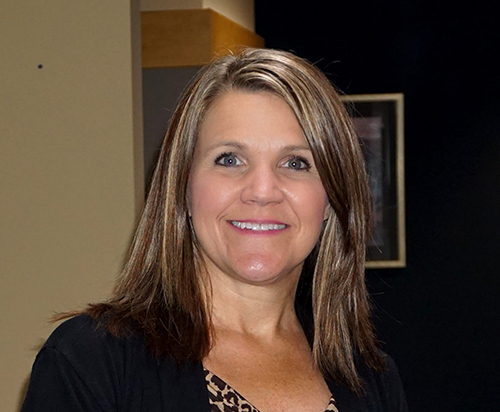 She started her career as a dental assistant then, insurance coordinator, and now office manager. She has a passion for her job; not only does she want to be an office manager but, she wants to be an office leader, motivating and encouraging her team. Andrea has 2 grown daughters and 6 grandchildren. In her spare time she enjoys spending time in her garden, fishing, camping, and any activity involving her grandchildren. Holly started off as a dental assistant in our office and has since moved up to the front desk where she'll greet you with a warm smile, schedule your next appointment or, check your insurance benefits. In Holly's spare time she enjoys reading, skiing, diving, hunting, and fishing. 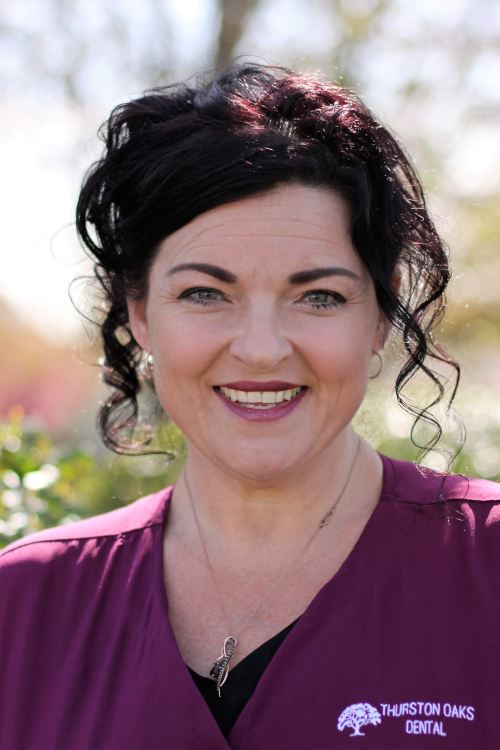 Teresa started practicing dental hygiene in June 1986, after graduating from Oregon Health Sciences University. 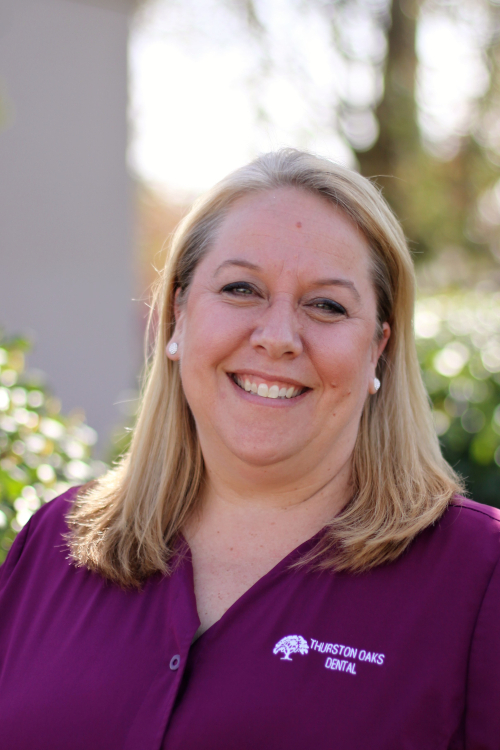 Prior to joining Thurston Oaks Dental in October 2017, she practiced in periodontal and pediatric offices. 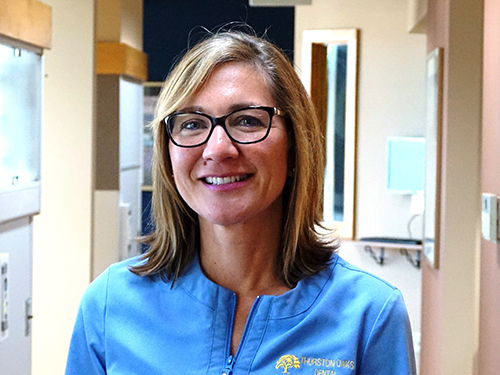 She thrives on providing comprehensive, thorough care to every patient, while focusing on their overall health. Her dedication to her patients shows in her care for her patients as if they are her own family. Aside from work, Teresa enjoys spending time with her growing family of eight, attending church and bible classes and she is looking forward to her new season in life of grand parenting. I graduated from dental assisting school at Charter College in 2018. I approach every day excited about learning something new about dentistry and working in a family friendly office that cares about their patients and community. The busy nature of my job allows me to put my energy and enthusiasm to good use, learning about our patient's lives and adventures, and contributing to our team in any way I can. Outside of work, I am a soccer mom at heart that loves spending time with my husband of 19 years and helping support my teenage son and daughter in all of their scouting, volleyball and youth group activities. My favorite activities include volunteering, crafts, photography, and kayaking. At home, I also enjoy baking and cooking, watching Hallmark movies and playing with our dog, Milo. Shan-Ti grew up in Eatonville, Wa. and graduated dental school from Clover Park Tech. Shan-Ti has been an assistant for 22 years. Shan-Ti's goal is to provide the best treatment possible to all of my patients in the most caring and efficient way. She is always up for new challenges. Shan-Ti and her husband of 10 years live in Camas, Wa. They have 5 children and 2 grandchildren. They love their farm animals and riding their quads. Shan-Ti also loves to bake for her family.